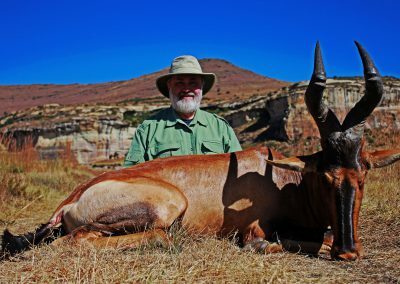 Classic 28-day African hunting experience with Mkulu African Hunting Safaris. Theodore Roosevelt was perhaps better known as Teddy Rooseveld before he became famous. 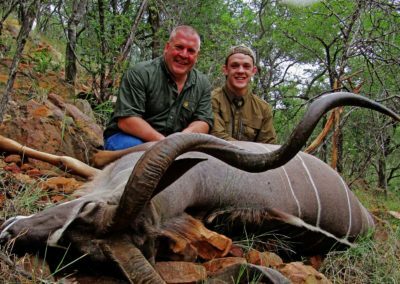 He made the Classic 28-day African Hunting Package look like a pre-school curriculum. However, we do realize that in modern times, few people can afford to take off as much time as during the early 1900’s. Another famous hunter, Robert Ruark, also spent a lot of time hunting in Africa. Ruark may not have been as well-known as the 26th American President, but what set him apart from Roosevelt was his ability to put words to writing. 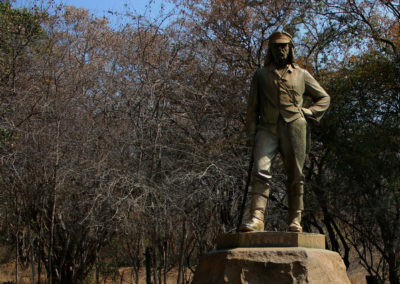 Ruark (like Louis L’Amour) had the ability to tell a story so the reader could smell the wood smoke, taste the Cape buffalo stew and see the southern cross 10 000 miles away from the bushveld. The abilities of his PH, Harry Selby, became legendary over time and he is still recognized as one of the all-time great white hunters of the African continent. 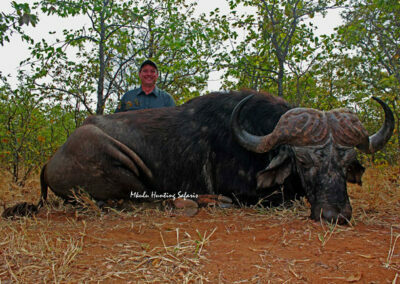 Classic 28-day African hunting safaris were more in the league of three months and more at a time. With our modern day Classic 28-day African hunting safari we are trying to recreate to a certain extent what Ruark and Selby experienced in those days. Of course, our vehicles and air-conditioning systems are much better than during those days and we certainly prefer it that way. Within the limitations of human encroachment, we will strive to offer as an authentic African hunting experience as possible. Hunting elephant in Zimbabwe is on the menu as is leopard hunting. 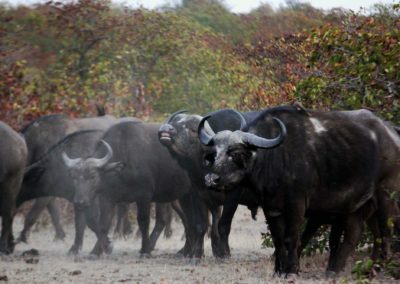 Cape buffalo can be hunted in Zimbabwe or South Africa. A lion tag is easier to come by in South Africa and a true walk-and-stalk hunt can be promised. The other trophies in this hunt are available on either side of the Limpopo and should be taken as they present themselves. We look forward to having you on one of these Classic 28-day African hunting packages. Smell the wood smoke? Join us for a taste of the Cape buffalo stew. 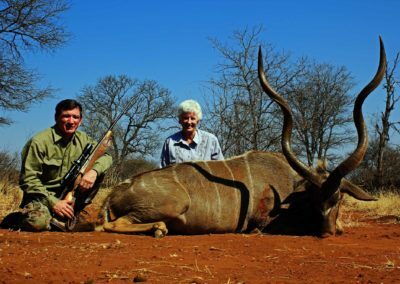 On the Classic 28-day African hunting packages you will be hunting dangerous game for which you will need a minimum 375 caliber rifle. 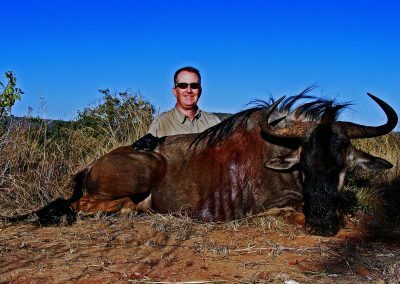 This hunt is usually scheduled between South Africa and Zimbabwe and specifically excludes all airfares and or chartered flights. A close approximation can be given for charter flights which you are welcome to pay direct. If more economical commercial flights are available, you will be advised to the effect and your travel agent can book the flights direct. The hunter must be physically fit to participate in this hunt as a lot of walking is expected and hunting days can exceed 12 hours a day on a regular basis. This is a 1 X 1 hunt only. 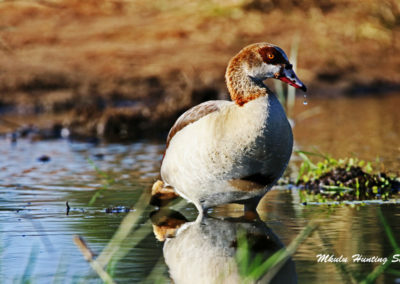 A second hunter on the same hunting trip will have his / her own PH. Observers are welcome at $ 250 per day for the duration of the hunt. Depending on time of arrival an overnight stay on the day of arrival is suggested. There is no additional cost for this. If you are from the USA there are new regulations issued by the USF&W Department with regards to importing trophy hunted African lions and African elephants. Lions now need additional paperwork to be completed before the authorities will allow the import of lions to the USA. If the paperwork is in order then we can hunt lions and have them exported to the USA. 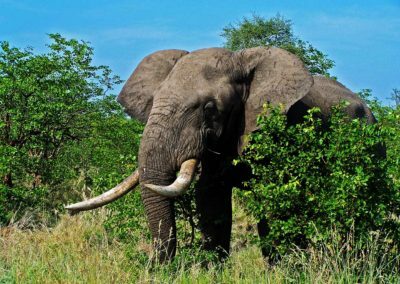 With regards to elephant hunts: the USF&W Department will not allow elephants to be imported to the USA if the elephants were hunted in Zimbabwe, Mozambique or Tanzania. 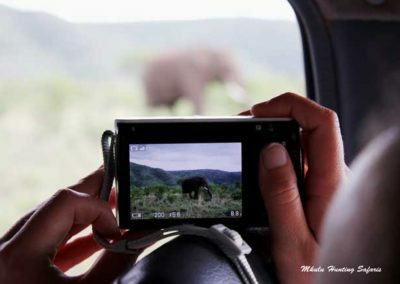 This means elephants included in this package deal will have to be hunted in South Africa for export purposes.